Being in a stable relationship helps people survive a stroke, new research claims. A team from Duke University in North Carolina tracked 2,351 people for around five years after they suffered a stroke, with results showing those who were married – and had never wed before – were a staggering 71 per cent less likely to die afterwards than those who had never tied the knot. Furthermore, experts discovered people whose marriages had broken down or ended due to loss were less likely to survive, with divorced participants 23 per cent more likely to die from a stroke while widowed individuals were 25 per cent more at risk compared to those continuously married. The researchers explain this is most likely to do with the fact that other halves provide support during this vital time of need, and it also indicates that previous traumatic experiences affect people’s recovery. 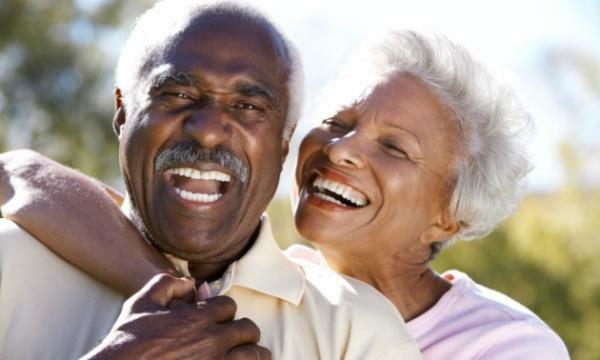 “Faced with a stroke, we suspect that those with stable marriages draw from these protracted resources to better manage disease and prolong survival after experiencing a life-threatening event,” researchers explained in the Journal of the American Heart Association. “The present findings corroborate this association to suggest that remarriage after divorce or widowhood may not confer the same health benefits for those who remained stably married. Around 150,000 people suffer a stroke in Britain each year, with the numbers even higher in the U.S. at 795,000. Is jy hier vd REGTE REDE !!! I'm a 56 year old woman looking to meet men between the ages of 54 and 61.